There were Camaros, and then there were Camaros. Don Yenko called his SYC Camaro “The Mean One.” He wasn’t Kidding. As far as the Camaro cognoscenti are concerned, some of the meanest Chevrolet pony cars ever built came from a small Chevrolet dealer in Canonsburg, Pennsylvania. That dealer was Yenko Chevrolet, and the SYC (Super Yenko Camaro) Camaros were legends in their own time, both on the street and the drag strip. Don Yenko was a proficient amateur racer as well as a Chevrolet dealer, and had competed in such prestigious events as the 24 Hours of Daytona and the 12 Hours of Sebring in covertly factory-backed Corvettes. His racing success provided him with strong ties to the factory. He had built and sold a variety of conversions at his dealership since the early 1960s, and had been doing 427 Camaro conversions since Chevrolet had introduced their pony car in 1967. Yenko’s specialty was taking L78 (375-horsepower/375 cubic-inch) Camaros and converting them to L72 425-horsepower/427 cubic-inch big blocks. Yenko wasn’t the only dealer with a COPO (Central Office Processing Order) connection, however. In 1968, Fred Gibb Chevrolet had fitted a special run of L78 Novas with automatic transmissions for drag racing. Yenko had also ordered some COPO Camaros in 1968, consisting of the L78, 140mph speedometer, 4.10:1 heavy-duty rear axle and heavy-duty suspension parts. His SYC Camaros (and Chevelles) were in demand across the country, and in 1969, Yenko set up a network of 36 dealers across the country. He knew that his small dealership couldn’t handle the expected high demand of conversions, so he petitioned Chevrolet to build a limited run of L72 427-equipped Camaros. 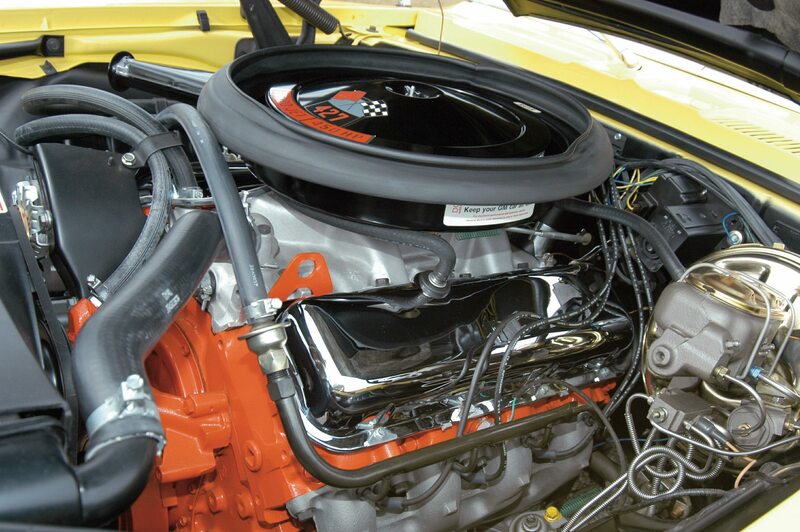 Using Chevrolet’s COPO, in October 1968, Yenko ordered 50 1969 Camaros with the RPO L72 engine under COPO 9561AA (M21 four speeds) and COPO 9561BA (M40 Hydra Matics). In mid January 1969, Yenko received his first order of L72 COPOs, with Fisher Body trim code X-66. The X-66 trim consisted of a black painted rear panel and rear quarter louvers. A second group of 100 were ordered in November 1968 and began arriving in February 1969. These cars did not have the blacked out panels and louvers and were coded X-11 (bright moldings and trim) or X-44 (no chrome accents). A few more orders were placed before the end of the model year. Most COPO Camaro historians agree that Yenko ordered a total of 201 1969 Camaros for SYC conversion. The first production runs of SYCs were equipped with Stewart Warner 970 Custom Series tachometers. These tachs were mounted directly in front of the speedometer with a sending unit located on the firewall tucked in behind the power brake booster. 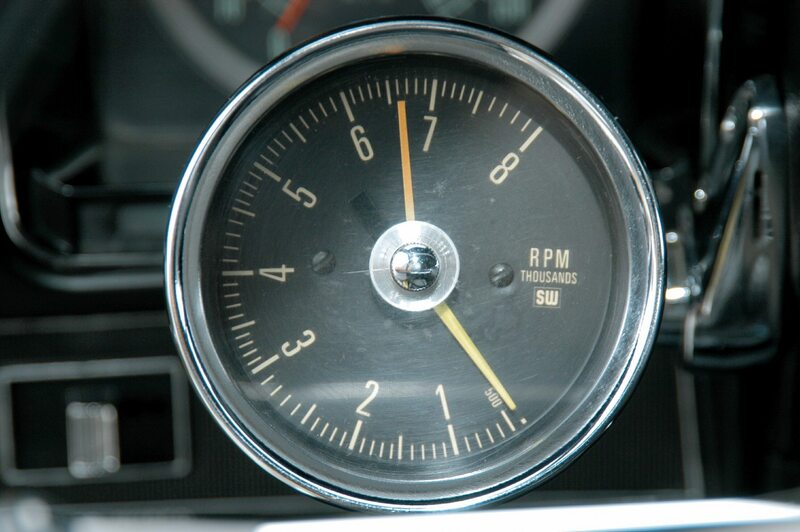 Later orders were equipped with the factory in-dash 7,000rpm tachometer and center fuel gauge. The rest of the interior was unchanged from production with the exception of SYC letters on the headrests. 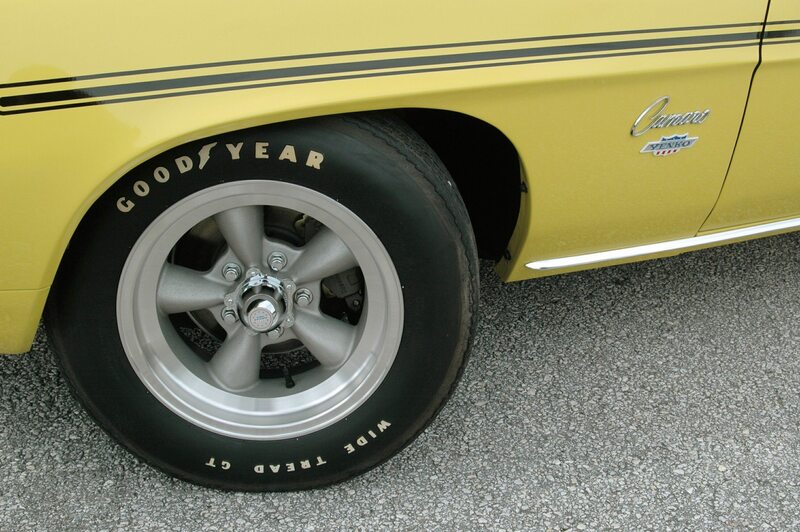 All Yenko SYC Camaros were ordered with rear deck spoiler, Rally Wheels and E70 x 15 wide tread tires. Yenko Badges appeared on the tail lamp panel and the front fenders. A special 427 emblem was mounted to both sides of the ZL-2 cowl induction hood’s power bulge and on the tail lamp panel. All had the base Camaro open headlamp front end with Argent Silver grille. 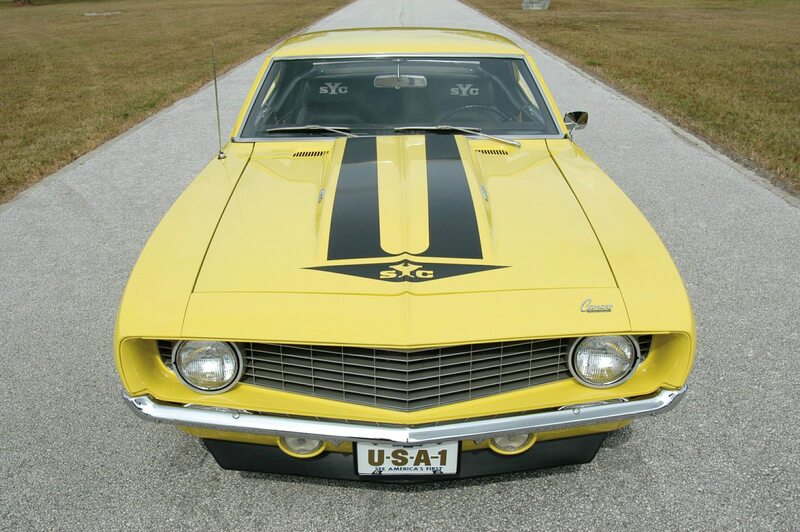 A graphic package consisting of a large black stripe and SYC lettering was applied to the hood and YENKO SYC appeared in a black stripe that ran from the rear spoiler, along the quarter panel to just ahead of the front wheel opening. 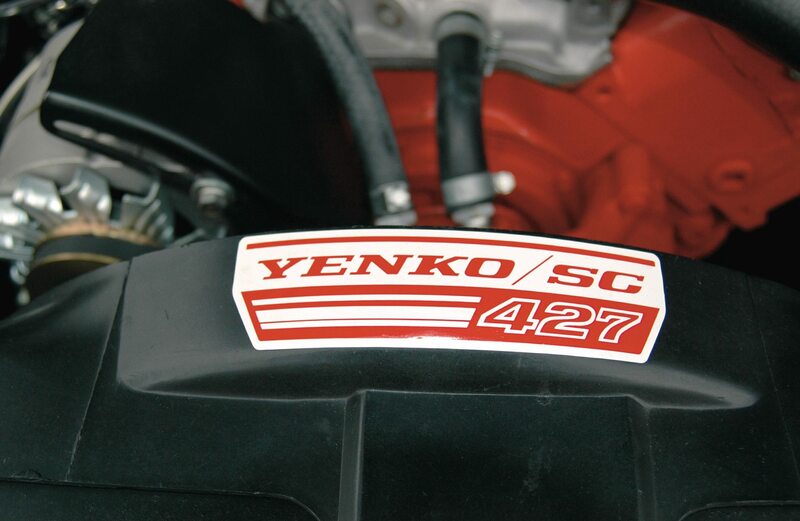 Under the hood, a YENKO SYC 427 decal was placed on the top of the fan shroud. Along with the $4,245 SYC package, other options offered by Yenko included a Hurst Dual Gate shifter for those cars equipped with the M40 Hydra-Matic, Doug Thorley headers, Atlas aluminum five-spoke wheel with the Yenko emblem on the center caps and Stewart Warner accessory gauges under the dash. Most Yenko SYC Camaros were not heavily optioned; however, buyers did have the option of adding vinyl tops, power steering, factory gauges, console, custom interiors and special front bumper. Yenko’s hope of building a network of dealers and selling at least 1,000 SYC Camaros was dashed when other dealers ordered their own COPO Camaros, both the iron L72 and the more exotic all aluminum ZL-1 427 engine. Of all the COPO dealers, Yenko was the most well known and best promoted. 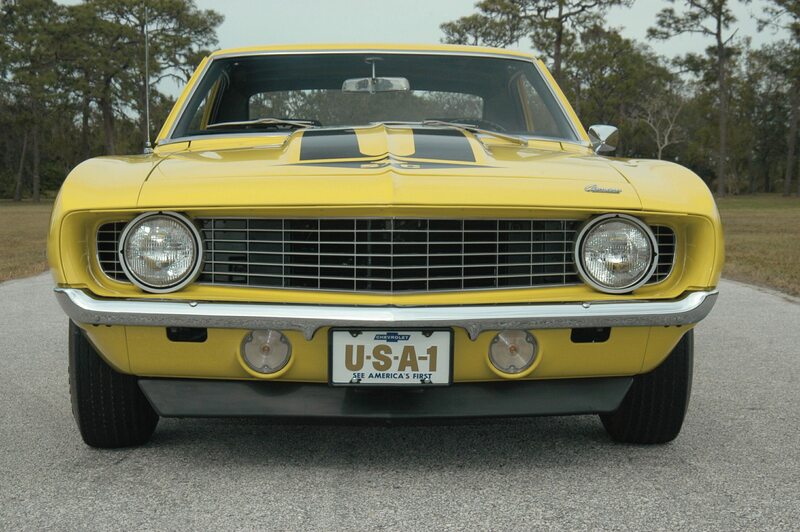 The Daytona Yellow SYC pictured here was shipped to Francis Chevrolet in Bridgeton, Missouri, after its conversion at Canonsburg. The original owners found it sitting on the showroom floor while waiting for warranty service on their 1969 Z28. 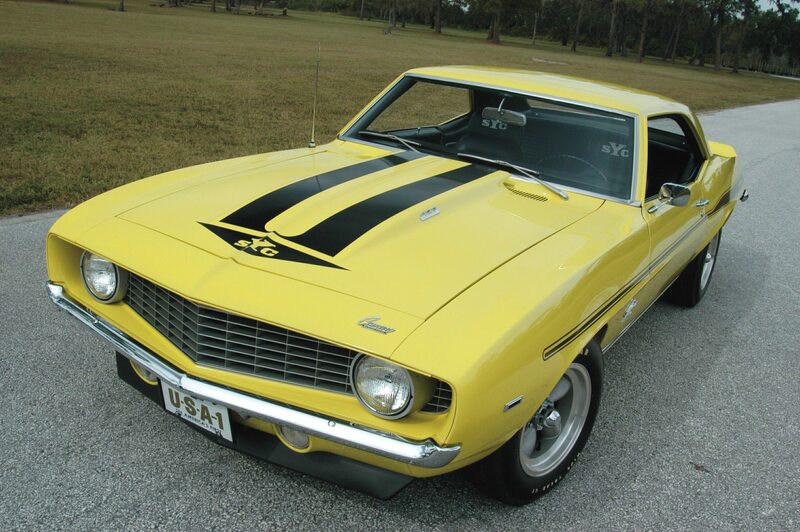 They fell in love with the “Neat yellow car with the brute big block and the black stripes.” A deal was struck and the Yenko went home that day. The car wasn’t driven much, mostly by the owner’s wife who actually used it to go to the grocery store. A crooked local repair shop convinced the couple the car wasn’t safe due to worn ball joints and tie rod ends. Worried that they could have an accident, the owners let the SYC slumber in their carport and hardly ever drove it. Enter Vince Emme, COPO researcher and historian. 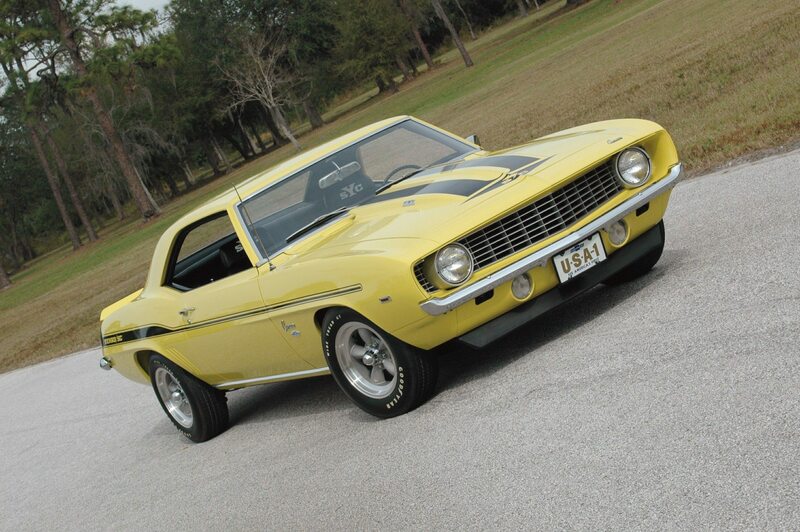 Vince purchased the Yenko from the original owners and then muscle car collector Randy Miller purchased it from Vince. Even though it was in remarkably good condition, Randy did a full restoration. He brought it to the Charlotte Swap Meet in 1994 and slapped a For Sale sign on it. Rob Timken from Pinellas Park, Florida, spotted it and after seeing the odometer read only 11,000 miles, he made Randy an offer he couldn’t refuse. Randy passed along to Rob all the documentation from the original owner, right down to two Protecto Plates from the dealer. 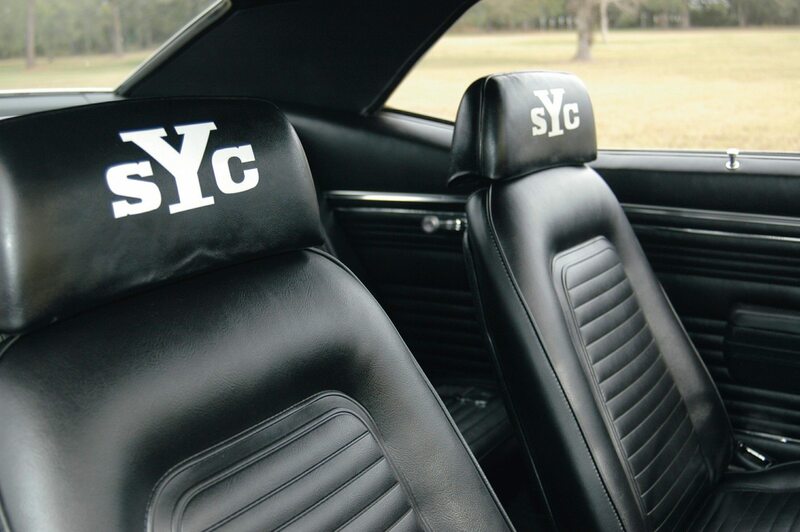 The interiors were unchanged from production Camaros with the exception of SYC lettering on the headrests. RPO L-72 427/425 Engine; Four bolt main iron block, 11:1 forged aluminum pistons, mechanical camshaft (.520-inch, 316 degree duration intake, 302 degree exhaust) and forged steel crank. Iron heads with 2.19 – inch intake and 1.72-inch exhaust valves, Holley 780 CFM four barrel carburetor with vacuum secondaries, high rise aluminum intake manifold, chrome valve covers, and single point aluminum distributor. The L72 developed 425 horsepower at 5,000rpm and a bone crushing 460 lb.ft. of torque at 4,000rpm. RPO ZL-2; Special ducted hood assembly with built-in sealed plenum chamber with throttle operated solenoid valve. RPO V48; Harrison heavy-duty four-core radiator. RPO F41; High performance suspension with multi-leaf springs and special heavy-duty shocks. COPO 9737, also known as “The Yenko Sports Car Conversion” added 15 x 7-inch Rally wheels, a 140mph speedometer, 13/16” front stabilizer bar, and a 12-bolt Posi Traction differential stuffed with 4.10:1 gears and special heavy duty ring and pinion and axle shafts. Canonsburg, PA., April 21, 1969 – So fast were the times turned in at York, PA on Saturday, April 19, set by a YENKO CAMARO 427 that officials stopped the action for a clock check. Driven by Ed Hedrick who will field a similar-type Camaro in NHRA National this year, the Super Stock/E – borrowed from demonstrator service (8,000 road miles) – turned the quarter-mile in the unbelievable elapsed time of 11.94 at 114.50 miles per hour. The Camaro was wearing Goodyear 8” slicks on the rear, and a hastily installed set of headers (and an AM radio). Most significant in this SUPER STOCK magazine test was the fact the YENKO CAMARO 427 was installed with an L72, or steel, engine and came within three tenths of a second of a well prepared (trailered to the track) ZL-1 all aluminum engine Camaro driven by a purely professional drag race driver. SUPER STOCK plans to feature the YENKO CAMARO in the July issue which will be on sale June 10. Where is this drag test Camaro now? Back in demonstrator service, of course. If you have a Yenko modified vehicle or another collectible you’d like to insure with us, let us show you how we are more than just another collector vehicle insurance company. We want to protect your passion! Click below for an online quote, or give us a call at 800.678.5173.